Acrylic Panel: Ultra modern frameless design. High gloss finish, optically clear, reusable, acrylic panel raised off the wall with aluminium posts to create a floating effect. Easy hanging with our purpose made hanging system. We use optically clear 5mm acrylic, with diamond polished edges. Light transmission is better than standard glass. Create your personal one-off art piece with your own digital image onto our exciting Acrylic Panel. 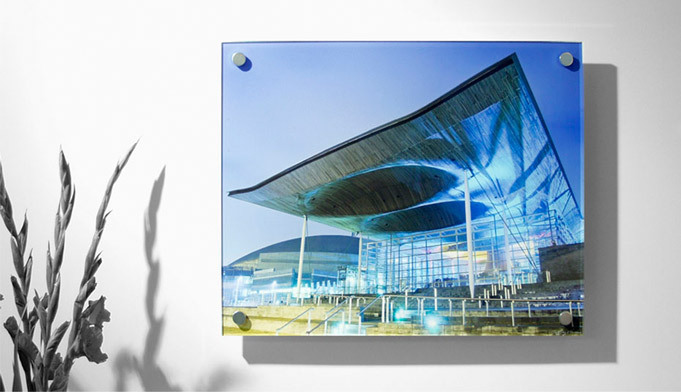 All our gallery images are available as Acrylic Panel.